Many users of Windows Phone welcome any and all types of games to the platform. The more games and apps there are available, the more viable the platform looks to new adopters. The integration of Xbox into Windows Phone brought with it the idea that we’d have a gaming platform that no other mobile OS could possibly rival and 3D gaming is what many mobile gamers want to see flood the marketplace. 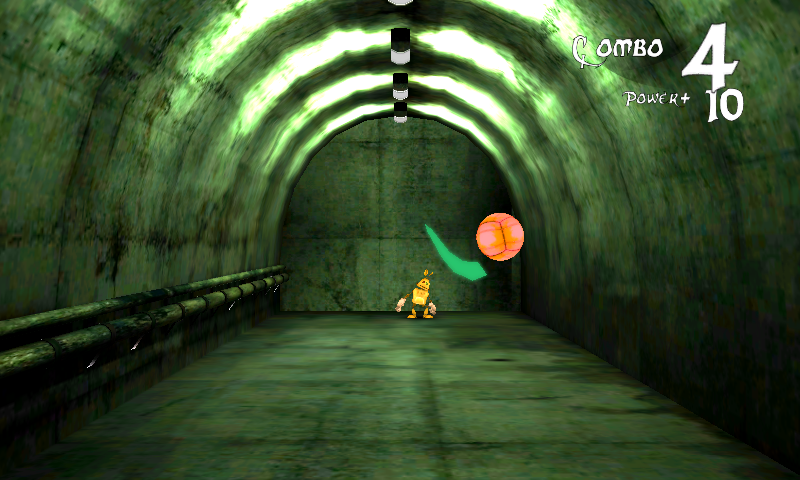 Cyclops BallZ is a game for Windows Phone by Brontes Processing that combines the simple controls needed for a solid mobile game with excellent 3D gameplay and visuals, simply put, it’s one of the best-looking Windows Phones games I’ve played. The idea of the Cyclops BallZ is to battle with your 21 different nemesis in each of the 7 battle arenas. 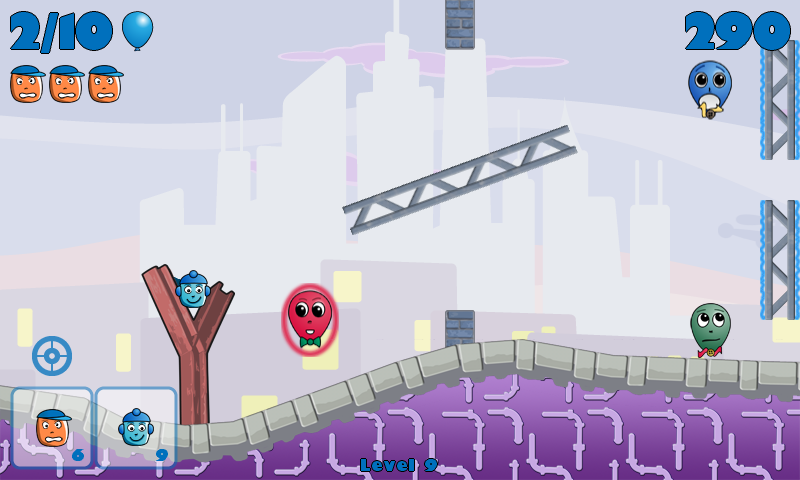 The game is fairly unique because it combines a number of different elements. It’s almost a cross between Pong, Fruit Ninja and a soccer [european football] shootout. 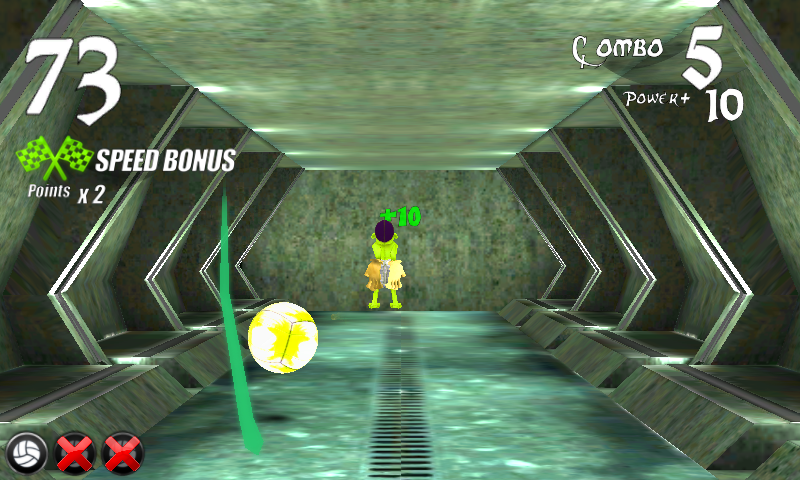 You control the speed and direction of the Cyclops Ball as you flick and spin it toward your opponent and try to gain points by making him miss. 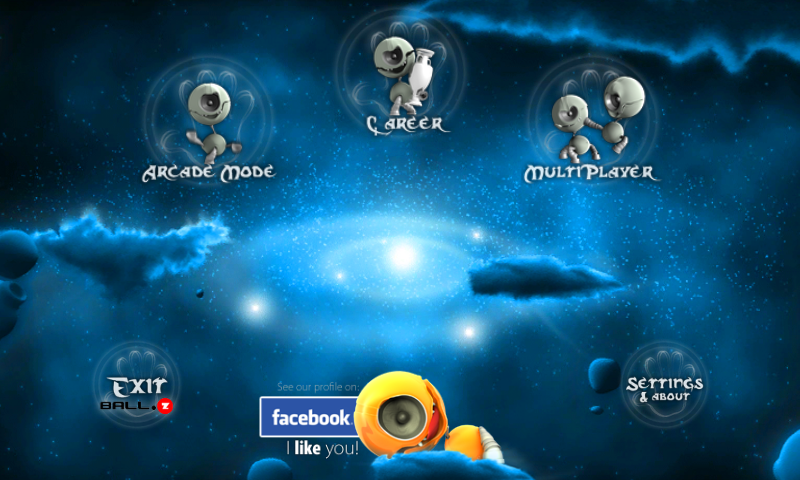 There are three different game modes: arcade, career and multiplayer and each brings a different look to the table. You can battle multiple opponents with increased difficulty and try to move up the online leaderboards. The ability to move into different arenas and face off against other players keeps the game interesting and the change of scenery from one arena to another really displays the great visuals put into the title. Speaking of visuals, there is probably no other game that I have played which has better menus than Cyclops BallZ. The “spacey”, hovering menus look very first class and it doesn’t stop there because the in-game 3D visuals are just as good. The levels and arenas are well-done and are comparable and even better than some of the 3D titles available on Xbox LIVE for Windows Phone. 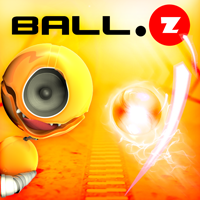 At $2.99, Cyclops BallZ is on par with and could easily be an Xbox LIVE-enabled title. It’s clear to me that the creators have really strived to create an interesting, quality title for Windows Phone gamers. 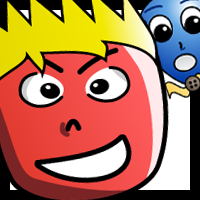 There is a free trial, which is limited in functionality, so if you really wish to get the full experience, you will want to shell out the few bucks it cost to have the full game. You can find this title by search for “Cyclops BallZ” on the Zune PC software or on your Windows Phone. I’m a huge Windows Phone fan (obvious) and I’m also a huge poker fan, so when you combine the two it can only be great, right? 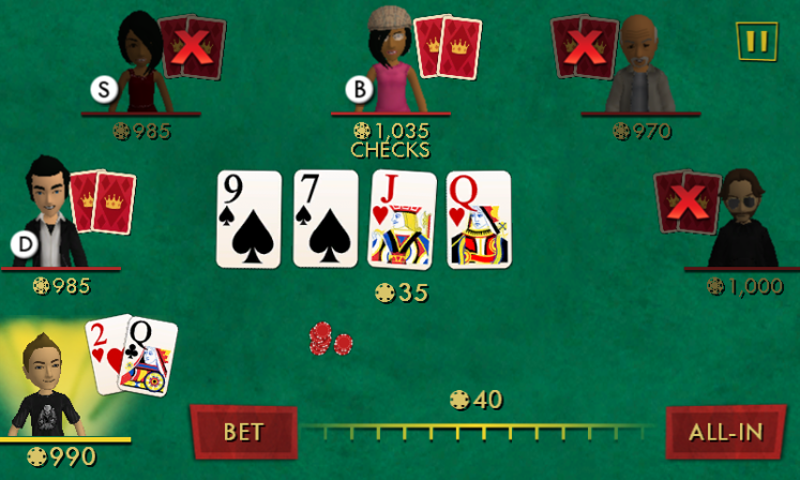 Full House Poker is the much-anticipated Xbox Live release for Windows Phone and the Xbox 360 console that lets you play Texas hold-em against the computer and real players in both standard, showdown and tournament games, both on the phone and on your console. 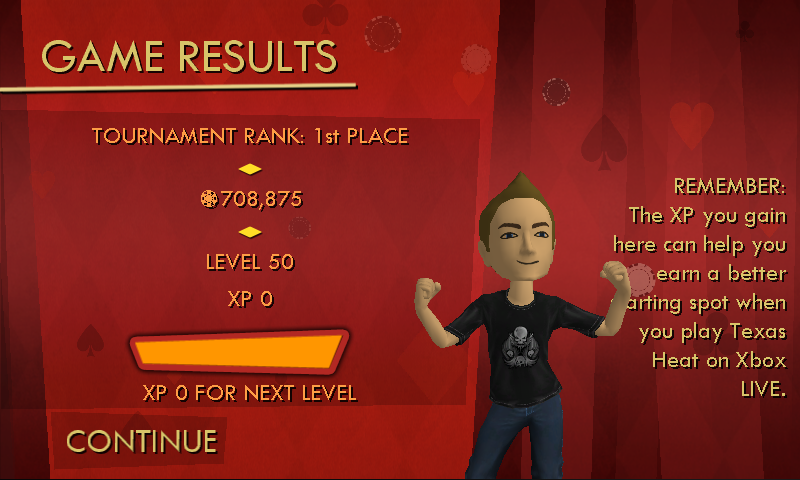 Full house poker is one of the few early games on Windows Phone that effects your standing and gameplay on the console as well. XP points and your bankroll will transfer with your XBL avatar as you move from Windows Phone to the console version allowing you to play continuously and seamlessly. The controls are simple and a brief tutorial will help you find your way through a hand. Menus and graphics are are well done and keep with the simple, polished feel throughout the game. You can customize the cards, table and title of the game. Half the fun of Full House poker is in the ability to continually move up in XP and bankroll and improve your ranking and standing among other Xbox Live players. 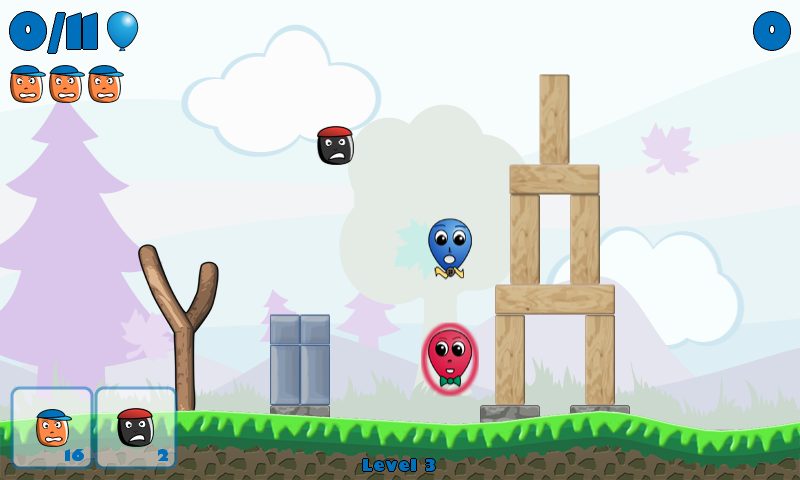 There are both achievements and leaderboards in the game that will allow the user to compare their stats with their friends. There are three modes of gameplay: Standard, Tournament and Pro Takedowns. I have found the pro takedowns to be particularly fun and challenging and you are rewarded with a steady increase in funds and XP points with each victory. I found Full House poker to be a complete game from end to end that left me more than satisfied for the $2.99 price tag that the game carries. If you are a Windows Phone user and enjoy the occasional poker match, then this is your game and when you consider that it ties in with your Xbox avatar and console game, it’s that much more of a deal. 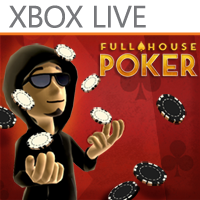 You can find the game by searching for “Full House Poker” in the Zune PC software or on your Windows Phone.